Reel Steal, a 5-reel mobster-themed online video slot by NetEnt offers reel deals rarely presented by other real-money slots entertainment. There are nine (9) non-fixed paylines in which to create wins comprising matched icons of circa 80's gangland images illustrated in comic book style drawings. 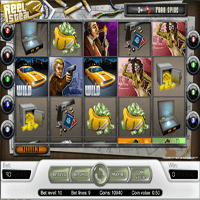 Reel Steal slot is a montage of icons depicting an unforgiving mobster boss, a tough undercover agent, a ruthless henchman and a manipulative gangster moll, along with a bag full of cash, a gold-filled safe, diamonds in a briefcase, a TNT time bomb, a fast and furious getaway car and other such objects that could make an exciting storyline about underworld crime. 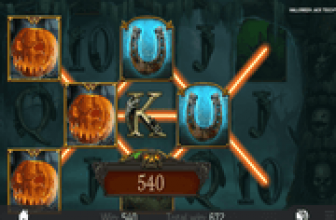 Slot players win by landing on three or more of-a-kind symbols. The base game winnings are equivalent to the corresponding coin-payout value of the matched symbol multiplied by the amount staked per spin. Yet slot players can expect some exciting twists to their game play once they land on Reel Steal's special features. An icon of a yellow, fast and furious-looking getaway vehicle, represents the Wild Symbol. Aside from helping players form matched combinations in an active payline, the yellow Getaway-Car Wild icon pays 5x the corresponding coin reward of the matched symbol. A more rewarding Wild substitution slot-playing experience occurs in the Reel Steal Free Spins Round. Here, the Getaway Car Wild pays 25x the coin payout value of the matched symbol that formed the payline win. A TNT Time Bomb serves as the game's Scatter Symbol, all set to trigger an explosion of bet free-spins. A paid spin that returns with three (3), four (4) or five (5) TNT Time Bomb Scatters set off 15, 20, or 25 bet-free spins. 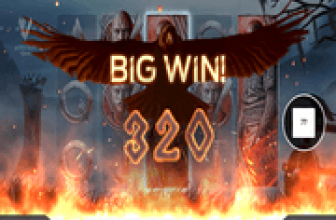 Great rewards are in store for Reel Steal Bonus Game players because all wins achieved in the free round earns 25x the coin win value of the winning symbols. Even better still are the possibilities of getting extra free spins in addition to the initial set activated as bonus game. During each free spin, the appearance of a Scatter Symbol triggers an extra free spin; denoting that a player stands to receive more extra spins during the free game. As Scatter Symbols, the TNT Time Bomb icons reward players with Scatter Pays. 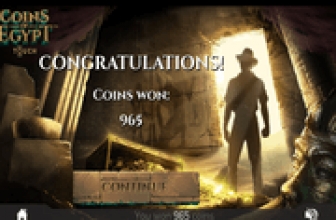 Two, three, four or five Scatters in any position, whether appearing in the base game or in the bonus game, bestow coin rewards of two (2), four (4), fifteen (15) or 100, respectively. NetEnt's Reel Steal video slot is a low variance real-money online gambling entertainment. Players can stake wagers using coin values ranging from 0.01 to 0.50 and place as few as one (1) or as many as ten (10) coins on each payline. They also have the option to activate one, or more, or all nine paylines for each spin. The lowest possible bet therefore can be as low as £/€/CAD/AUD 0.01(0.01 x 1 coin x 1 payline) or as high as £/€/CAD/AUD45.00 (0.50 x 10 coins x 9 paylines) per spin. Reel Steal Video Slot with Mind-Blowing Win-Value Multipliers! Reel Steal video slot presents a mobster-themed online gambling game that could blow a player's mind once he or she reaps monetary rewards boosted by 5x and 25x win value multipliers!